Usually, when an entrepreneur pitches me something about the need for a more “private” or “intimate” social network because Facebook has gotten too cavalier about privacy settings, I kind of roll my eyes. Not only have there been numerous casualties and acq-hires as a result of this strategy (like YC’s The Fridge, Drop.io or take a look at Path’s implied growth rate from its app rankings), products like these intentionally limit their viral spread in a consumer market that is already horribly competitive. Yet there are products from time to time that find a niche. KeepSafe might be one of them. 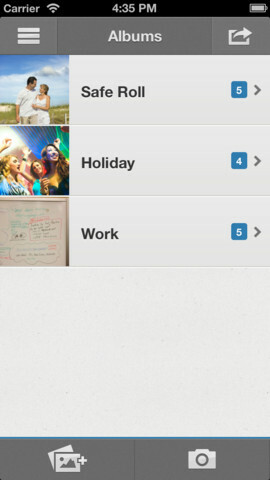 It’s an app that creates a private photo vault on your phone, so that you can file away sensitive pictures from others. You can also share photos with others, or send them for a limited time like on Snapchat or Facebook’s Poke app. With just about $700,000 in funding, the app has grown to 3 million monthly active users who have hidden more than 1 billion pictures at a rate of 64 pictures per second. For those calculating, that’s at least 5 million photos saved per day. Snapchat does at least 50 million photos per day, while Instagram last said it was seeing 40 million photos posted per day. Why would you need another secret photo gallery on your phone? Why not just use a pass-lock? I couldn’t understand why at first. Maybe it’s like Snapchat for adults. But like Snapchat, KeepSafe doesn’t want to be branded as a “sexting” or adultery app. The company pointed out that one person even used KeepSafe to get feedback from friends on potential engagement rings without his girlfriend finding out. Co-founder Zouhair Belkoura created the app as a way to separate work photos from personal ones. He had gotten into a habit of taking pictures of Post-It notes for save ideas. But when he wanted to walk others through his sketches, he would have to flip through random photos of his girlfriend’s lunch. So he started KeepSafe as an Android app (yes, Android-first), that would allow him to move pictures from the general photo gallery into a separate area. 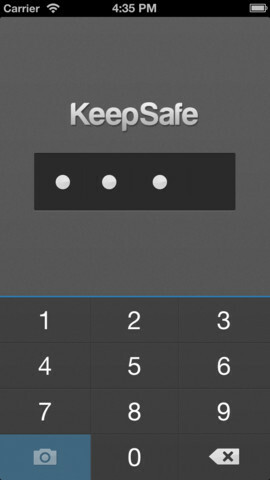 KeepSafe took off with about 7 million downloads, and then company brought the app to the iPhone. Philipp Berner, who is part of KeepSafe’s tiny three-person team, said that 35 percent of their users are in their 20s, while 35 percent are in their 30s. Another 15 percent are under their 20s, and the rest are above 40. So this likely skews a little older than Snapchat, and is probably a demographic that has more disposable income. Berner said about half of the company’s user base found it through the app store, and 20 percent were recommended by a friend. Right now, KeepSafe has a freemium model. There is a premium version that costs $4.99 per month. It offers a cloud photo back-up service that saves your photos in case your phone gets lost or stolen. Users can also create a second fake PIN in case someone else tries to open their private photo vault. Break-in detection also keeps a log of failed log-in attempts which will let you know if someone else tried to access your private photos. Then there’s something they call a “secret door.” This features makes KeepSafe look like a utility app, so that anyone else using your phone can’t tell it’s a secret photo gallery.